Egypt said Sunday it has recovered a statue of pharaoh Tutankhamun’s sister looted from the southern Mallawi museum during riots by supporters of ousted president Mohamed Mursi. 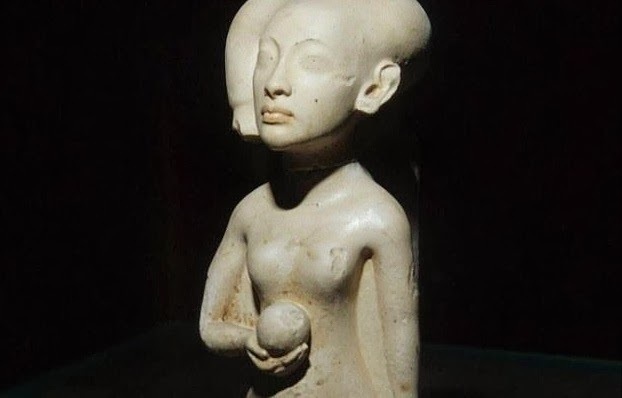 The 32 centimeter (12.6 inches) limestone statue of Ankhesamon, sister of the famous boy king and daughter of pharaoh Akhenaten, who ruled around 1,500 BC, was stolen on Aug. 14. “The piece is one of the most important in the museum,” said antiquities minister Mohamed Ibrahim in a statement. Authorities have recovered 800 of the 1,050 artifacts stolen from the museum in southern Egypt during nationwide riots on August 14 after police clashed with Islamists in Cairo, he added. Supporters of Mursi attacked the museum; police stations and Christian churches across the country after police dispersed two Islamist protest camps in Cairo, killing hundreds. The minister also said that a statue dating back over 2,500 years that was stolen from the Cairo museum during the 2011 revolt against Hosni Mubarak was found in Belgium. The statue that dates to the 26th dynasty, more than 500 years BC, and made from earthenware was stolen on January 28, 2011 when looting and violence erupted in Cairo’s iconic Tahrir Square, the epicenter of the anti-Mubarak revolt. The piece was smuggled to Belgium where a French expert analyzed it and contacted Egypt authorities. Egypt, which is full of archaeological treasures, regularly announces the recovery of stolen artifacts. In November, it announced the recovery of 90 artifacts that had been put on sale by a Jerusalem auction house. Others pieces have been returned by Britain and Germany.